Born in Stowmarket, Suffolk, the son of the Rev. J. Vincer-Minter, it was intended that he should follow his father into the ministry and he received a classical education at King Edward VI School, Bury St. Edmunds, and Ardingley College. 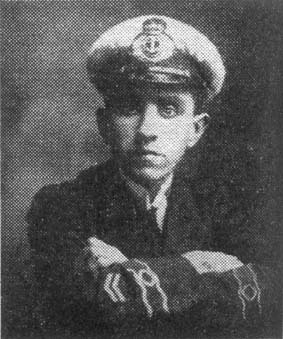 He had passed into Cambridge when the 1914-18 war broke out and he then saw service, first in the Army and later, after being invalided out, as a wireless operator in merchant ships sailing to S. America and to Russia. After the Armistice he served for a time in N. America under Capt. McCoy in an attempt, as he put it, to secure the repeal of the 18th amendment to the American Constitution. Returning to a comparatively settled life in England he joined the staff of WireIess Wor1d in 1924 and contributed many constructional articles as well as taking charge of replies to readers' queries. But his mischievous spirit often sought outlet in ways which were a potential embarrassment to his more serious-minded colleagues, until the editor of the day had the inspiration of channelling his talents for iconoclasm into writing his own regular feature. An open grid circuit, causing removal of bias and generally unpredictable behaviour, was a circuit fault in the days of unreliable high resistances, and it was this that suggested the now famous pseudonym and title. Vincer-Minter accepted the challenge with an enthusiasm which never flagged, and although he left the permanent staff to work as a freelance after the last war he continued regularly to send us his contributions, to sharpen our wits and to save us from pomposity. His last contribution went to press the day before he died.